In capital project planning and execution, safety should always be emphasized higher than reducing cost or achieving faster schedules. IPA measures project safety drivers and outcomes to help capital project owner companies improve safety performance. The injury rate in the construction industry is higher than many other industry sectors, with fatality and injury incident cases showing little improvement in recent years. Owners must take an active role in improving construction safety for many reasons, the most important being that it is simply the right thing to do. The Industry Benchmarking Consortium (IBC) is a voluntary association of owner firms in a variety of industries that employ IPA’s quantitative benchmarking approach. 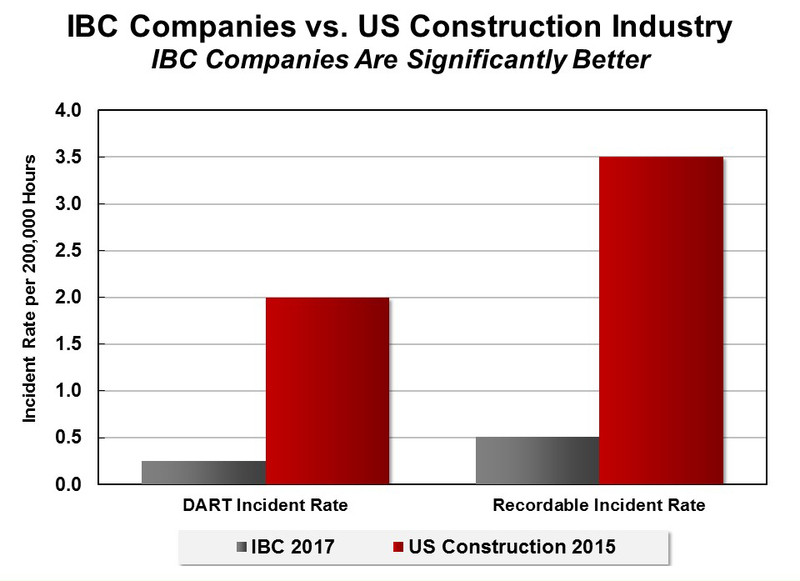 As shown below, IBC member companies perform significantly better in safety than the rest of the United States construction industry in both DART (days away, restricted duty or transfer) and recordable incidents. Founded in 1987, IPA is the world’s leading advisory firm on capital projects. We are a benchmarking, research, and consulting organization devoted to the empirical research of capital projects and project systems. Our work is continuously validated by our clients who routinely compare our predictions with actual results and verify that our recommendations yield business value.